The Atlantic: Have you contributed to a health scam? Ch00f and I recently had the pleasure of talking with Olga Khazan of the Atlantic on the subject of dubious crowd-funding campaigns. Her article, which specifically targets health products, is an outstanding review of the challenges we face more generally. If you have a few minutes, I encourage you to give it a read. 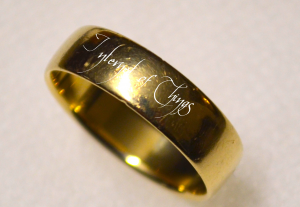 One thing to rule them all? If the “Internet of Things” is going to live up to the hype, hardware developers will need to fully embrace the metaphor and all it implies. Let’s be honest, most projects these days are a variation on a theme: take a few sensors, add a 2.4 GHz radio, think up a snappy name, and claim to be “the world’s first <really specific application>.” However, despite the underlying similarities, each has its own custom app and interface, making it impossible to design a common “browser” that allows users to navigate from device to device. If this landscape sounds more like cable TV than the Internet, that’s because it is. Providers are competing to herd users into their particular walled-garden. Some day, a central authority will define a common standard like what the Bluetooth SIG has done with their heart rate profile (among many other examples) and things will improve. In the meantime, hardware developers continue making grand promises that assume they succeed in the winner-take-all competition for users. As a backer, this is a HUGE leap of faith – even if the product ships, we may receive only a shadow of its potential usefulness, like buying a media player to find out it only plays HD-DVDs. And unlike retail, crowdfunding has no refunds and no returns. A few weeks ago a new device entered the ever-widening bluetooth beacon market on Kickstarter. 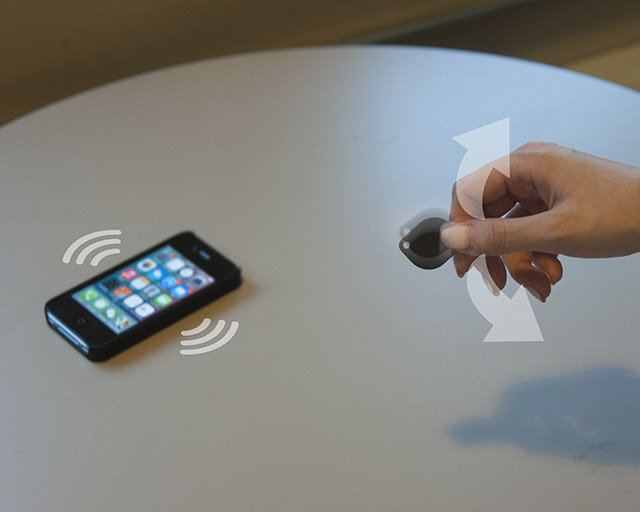 Unlike the competition, the new iFind from WeTag Inc. promises that it can offer all of the features of a standard bluetooth beacon without ever needing a battery charge or replacement. This bold feature is relatively unexplained leading to a large amount of online skepticism. In an attempt to cut through the controversy, we were lucky enough to conduct a short interview with WeTag’s CTO Paul McArthur. While his response did help us to attach more concrete numbers to the company’s claims, we are still unconvinced that iFind is a viable product. Though we only covered the Neptune Pine in passing when discussing how some campaigns like to quote publications that summarize their own words, some of their recent project updates have created quite a stir that deserves brief discussion. “Energy harvesting” is a very attractive buzzphrase. The market for devices that can soak up unused energy and put it to work has been steadily growing over the past few years. Many wristwatches available today don’t need batteries or winding. They can glean energy from the motion of the user’s wrist or the light of the Sun. 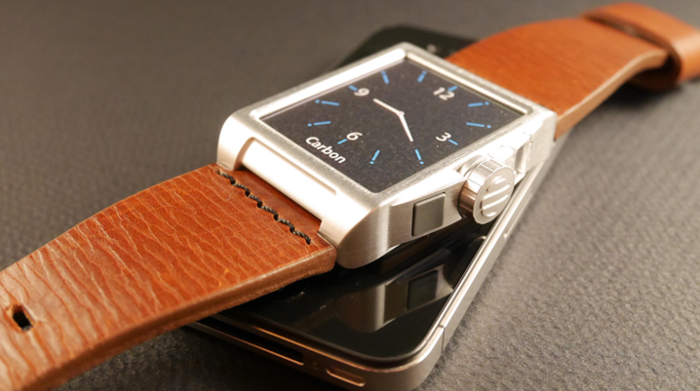 A wristwatch is a fairly low-power device that lends itself to this kind of technology, but the Carbon wristwatch plans to do much more than just keep time. While the technology isn’t too farfetched, it’s the business decisions of the team that draw the potential success of this product into question. Smarty Ring runs second fundraiser. Allows backers to pay more for confusing upgrade. 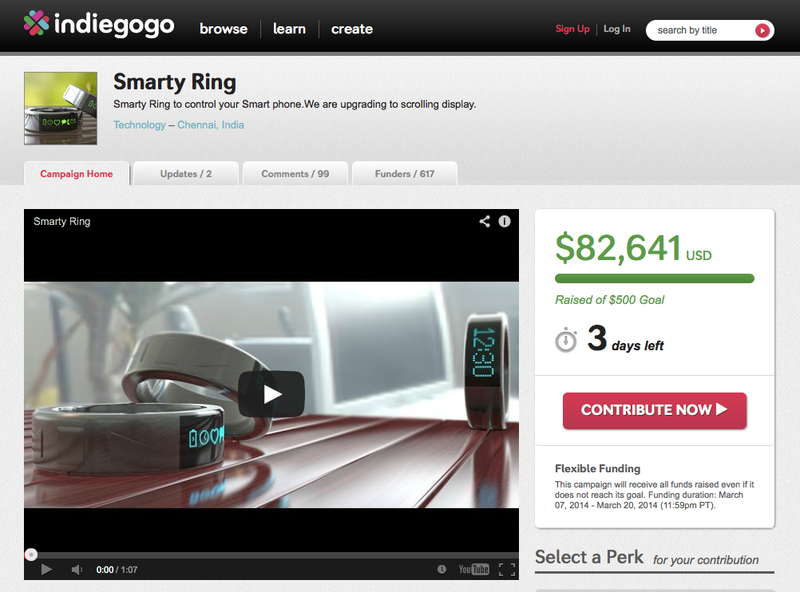 Strangely, the Smarty Ring that we covered a few weeks ago showed up again on Indiegogo last week with an entirely new funding page. We’ve seen copycat projects before, but this time the copycat page is actually from the original founders. Perhaps not too surprisingly, the incredibly sophisticated Angel wristband that we covered a few months ago has unapologetically pushed its delivery date back from mid-April to mid-August nearly doubling the waiting period backers were promised in November. The team has apparently made some strides in other areas however as they promise to deliver their first SDK by March 28 and have also completed what they claim is a fully featured development prototype. More details in their announcement. 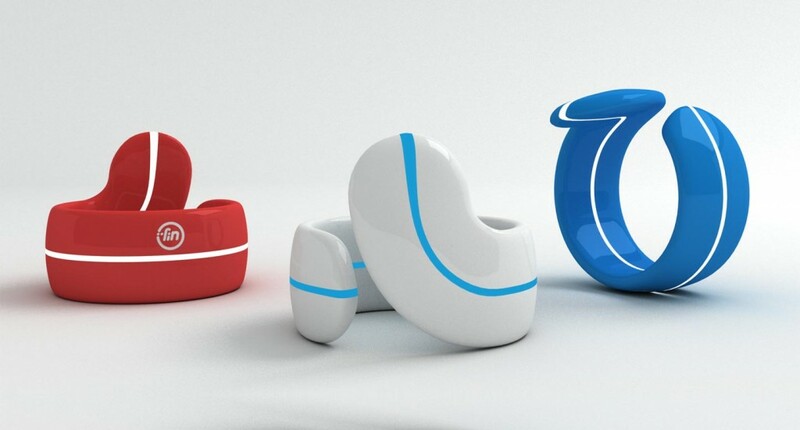 Headlining on Indiegogo right now is the Fin wearable bluetooth ring. While it may not keep you up to date on your messages like some other ring projects we’ve looked at, the Fin aims to be a super lightweight and unobtrusive user input device for any number of bluetooth gadgets. It took some work to figure out how it works, but even with that information, one wonders if they will really be able to deliver the performance and user experience they’re advertising. Remember Vybe? 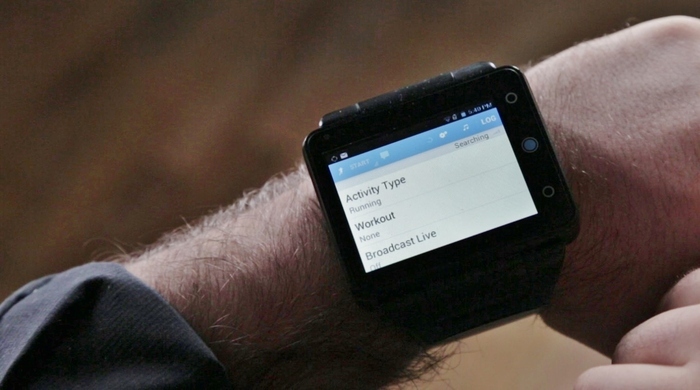 The Buzz Band knock-off successor loudly promised a February 28, 2014 ship date, but has now quietly reneged. While they’ve scrubbed the guarantee from their website, it’s still documented in the Internet Archive and the creator’s letter to Ch00f. They are quietly hiding their failure, hoping no one will notice. We are curious to see what happens if enough backers start demanding their refunds.